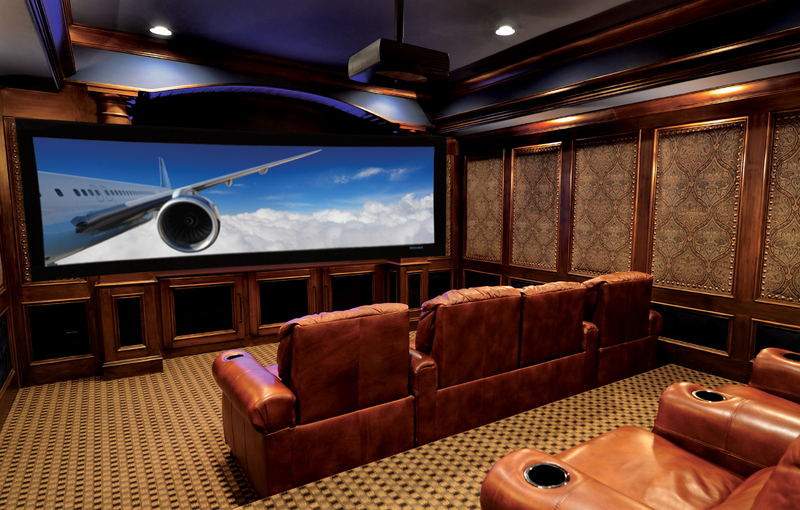 Many of us dream about having the ultimate home theater room in our homes, and it’s actually much more achievable than you might think. Here is the ultimate guide to creating the perfect space for watching movies in your home. Choose a TV or projector. 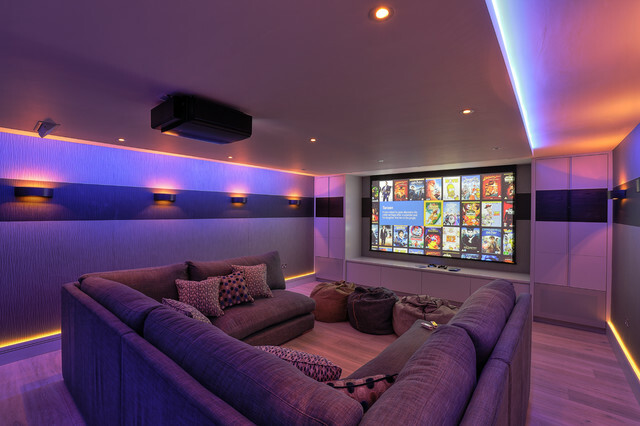 Usually the first question homeowners ask as they are planning to create a home theater in their home is this: “Should I get a TV or a projector?” Here are the pros and cons of each. Some of the biggest advantages that TVs have are their ease of installation, ease of use, and ability to be used even in a lit room. Just about anyone can install a TV in their home, and once installed, using it is pretty much as simple as hitting the power button. You don’t need to wait for a TV to warm up before using it, and you don’t need to black out any windows before settling down to watch a movie, either. LED HDTVs are especially energy efficient, and this makes them relatively affordable to own. And since smaller TV screens are becoming a thing of the past, owning, say, a 70-inch TV is now more affordable than ever. Still, projectors still hold the advantage of being more affordable per square inch when it comes to larger screen sizes. And before you assume that TVs still offer better image quality than projectors, take note that projector technology has made tremendous strides in recent years. Projectors are getting brighter and brighter, and they are providing extremely good blacks as well—even when there is ambient light. The images produced by projectors also tend to be easier on the eyes that those produced by TVs. If you end up opting for a projector, just make sure that you also invest in a high quality screen that will maximize the quality of your image. If there’s one thing that will truly transform a room with a TV into a full fledged home theater, surround sound is probably it. A comprehensive home theater sound system will typically include at five satellite speakers (two front, two rear, and one center-channel) and a subwoofer. Many people who are creating their own home theaters will purchase a home theater speaker system that includes all of these components as stand-alone speakers; however, if you really want to step things up, you might consider making some of your speakers (such as the two front and two rear satellite speakers) in-wall speakers like this one. In addition to high end visual and audio setups, you’ll also want to ensure that the wiring you use is high quality and reliable. If you’re unsure as to which wires and cables you’ll need for your home theater, this article is a great place to start. And if you want your home theater to maintain a clean and professional look, you should consider installing this wiring behind your walls as well. This is where you’ll definitely want to invest in oversized, comfortable seating. Many people opt for oversized recliners (many of which even feature cupholders), but you might also consider giant bean bags, chaise lounges, or an oversized sectional sofa. If you plan on having more than one row of seating in your home theater, then you’ll definitely want to consider stadium style seating featuring multiple levels so that everyone in the theater can see the screen. On the subject of furniture, you shouldn’t forget end tables, either—at least to serve as a place for keeping your drinks, the remote, etc. Include a place for refreshments. It’s also a good idea to include space in your home theater for keeping refreshments on hand. You might include a mini refrigerator for drinks, as well as a cabinet or two for snacks—equipped with handles that you can easily find in the dark (a topic you can read more about here). 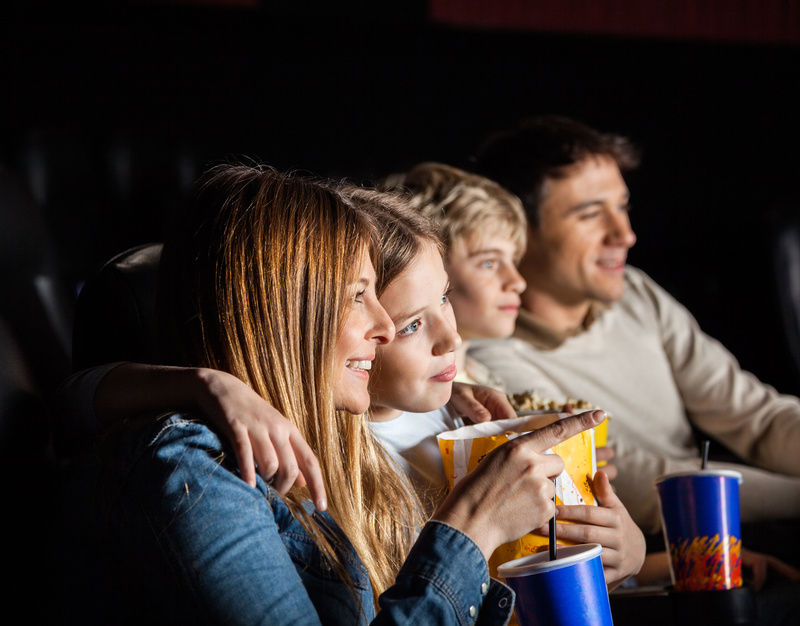 The lighting in your theater will also have a significant impact on the overall atmosphere. First, be sure that you install blackout window treatments that will allow you to block out as much light as possible, so that you can enjoy watching movies in a truly dark room (this is especially important if your home theater has a projector). It’s also a good idea to add dimmable lighting to your theater to give it that movie theater ambiance. Many people opt for lighting that they can control with a remote for added convenience. There you have it. 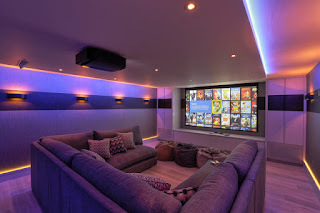 Building the ultimate home theater room is a dream that can be achieved and it will be the most favorite place in the house for the entire family.